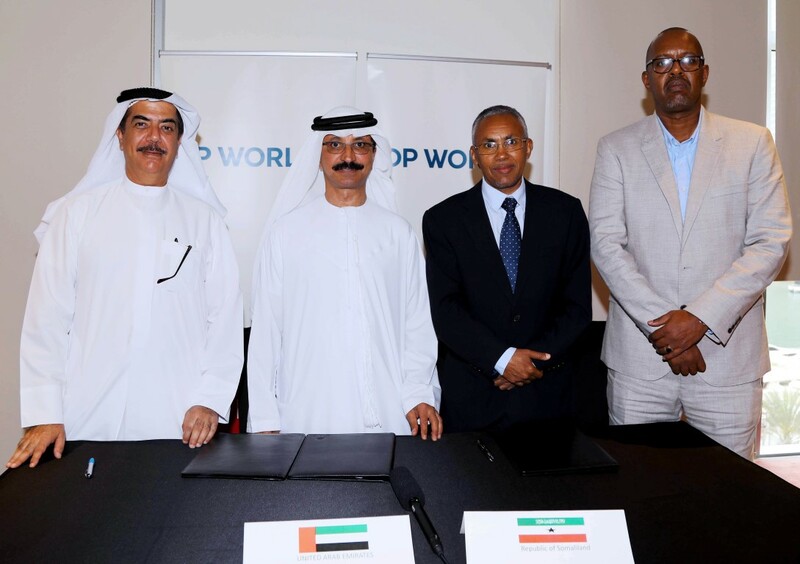 DUBAI, 4th March, 2018 (WAM) -- The final agreement to develop a greenfield economic free zone in Somaliland to complement the growth of the Port of Berbera has been signed between DP World and its government in Dubai. The global trade enabler expects to break ground on the 12 square kilometre free zone project this year. Located next to the port, it will support the growth of Berbera as a regional trading hub and generate jobs. DP World Group Chairman and CEO, Sultan Ahmed bin Sulayem, said, "Our vision for Berbera is to make it a regional maritime hub in the Horn of Africa and its development will encourage growth for the region’s economy. It’s also a boost for local prosperity – jobs for the people of Somaliland and future generations. We look forward to bringing our global experience here and to help develop the Berbera Corridor, which is key to encouraging regional economic activity." Somaliland Minister of Foreign Affairs and International Cooperation, Dr. Saad Al Shire, said, "Developing a free zone will complement the growth of Berbera Port, enabling it to become a gateway for trade to the region and the whole of Africa. It will also generate jobs for the local population and encourage small and medium-sized companies in the area to locate their operations in an environment conducive to trade. Our partnership with DP World is a model that we are keen to develop and for the benefit of all." The free zone will target a wide range of businesses including warehousing, logistics, traders, manufacturers and other related businesses. The project is also modelled on DP World’s Jebel Ali Free Zone, Jafza, in Dubai and aims to attract investments, encourage trade, create new jobs and position Berbera as a gateway port for the region.